Gallery Café is a spacious establishment stretching to the very end of the building it inhabits with comfortable seating throughout. Outside tables at the front are limited and there is also seating for the numerous people lining up for the Campos coffee. After initially being seated, we found service to be very slow (which I was prepared for after reading comments on various social media). I eventually went to call a waiter over who begrudgingly took our order. The wait for drinks and food was slightly longer than we’re used to but not horrendous. 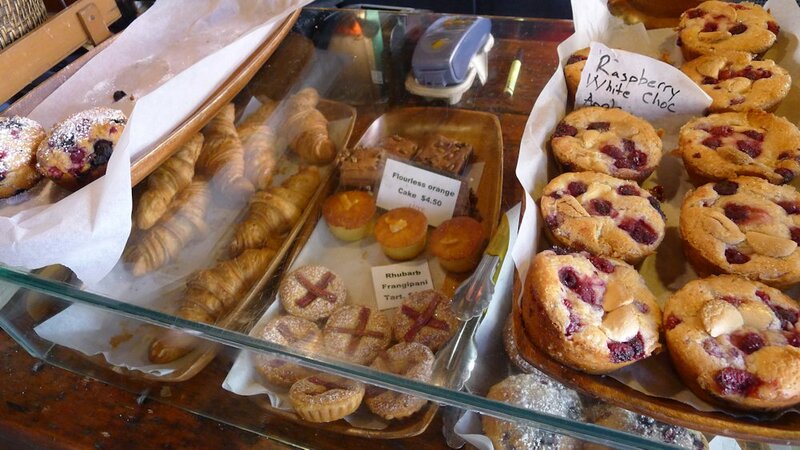 The gallery muffins are baked daily and one of the main attractions of the café. Despite best intentions, I could not manage another bite after breakfast today so you will have to visit and try them yourself! 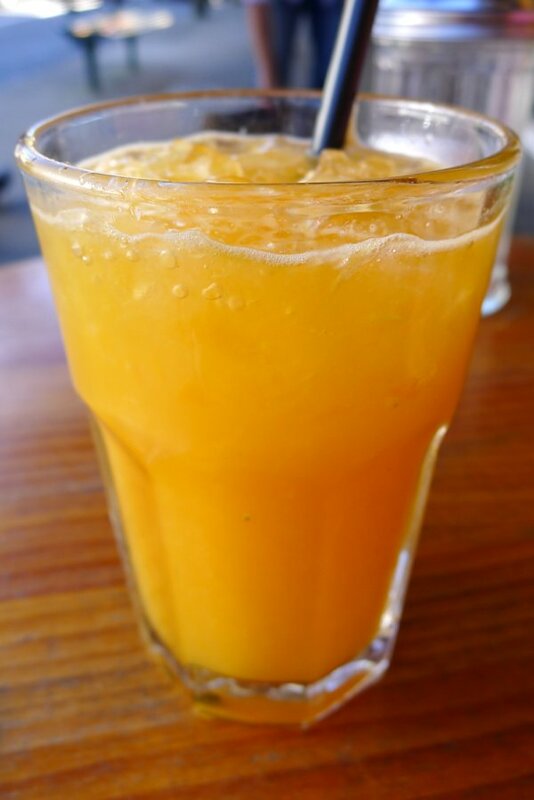 The only freshly squeezed juice is orange (small $4.80, large $6.50). The small we ordered was a good size for the price and was chilled with ice which was a nice touch. 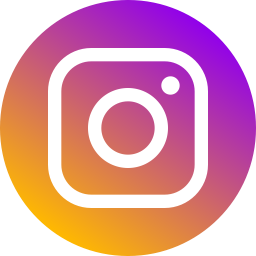 Milkshakes (chocolate, strawberry or vanialla, $5.50), frappes (orange juice with ice and raspberry, strawberry or blueberry, $5.50), iced coffee and iced chocolate ($5.20 each) are also available. Apparently the menu we had was old so the banana that was mentioned under smoothies is no longer available (huh?). The flavours available are strawberry, raspberry or blueberry. 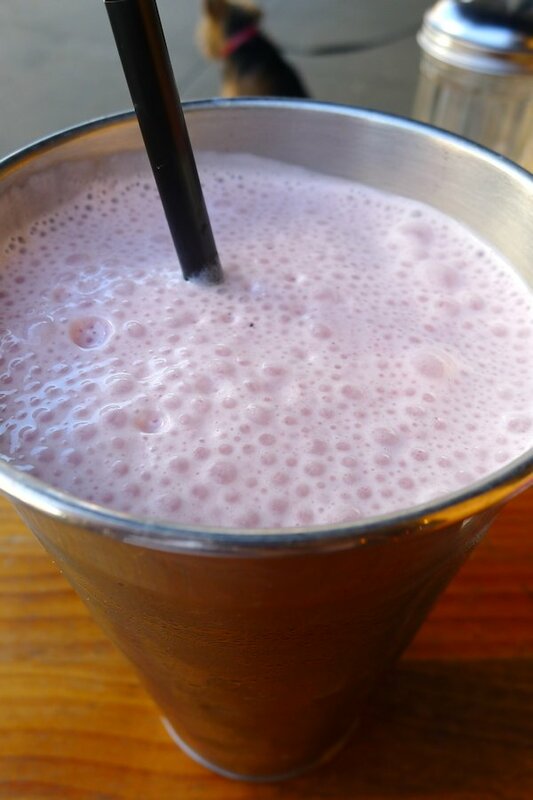 I chose the strawberry smoothie ($6) and found that even though fresh strawberries were used, there were too few of them. The flavour overall was very milky and infact when I used the straw to drink from the bottom of the mixer, it tasted like slightly flavoured milk. Disappointing overall. Don’t think that just because a café serves Campos coffee that it serves good coffee. We have had badly prepared Campos before! Luckily Gallery Café’s barristas know what they are doing. 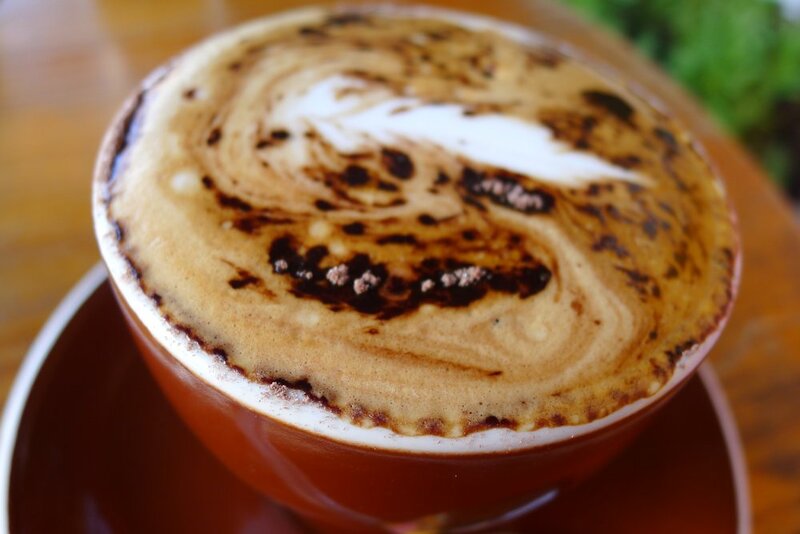 Our skim cappuccino ($3.50) tasted fantastic. 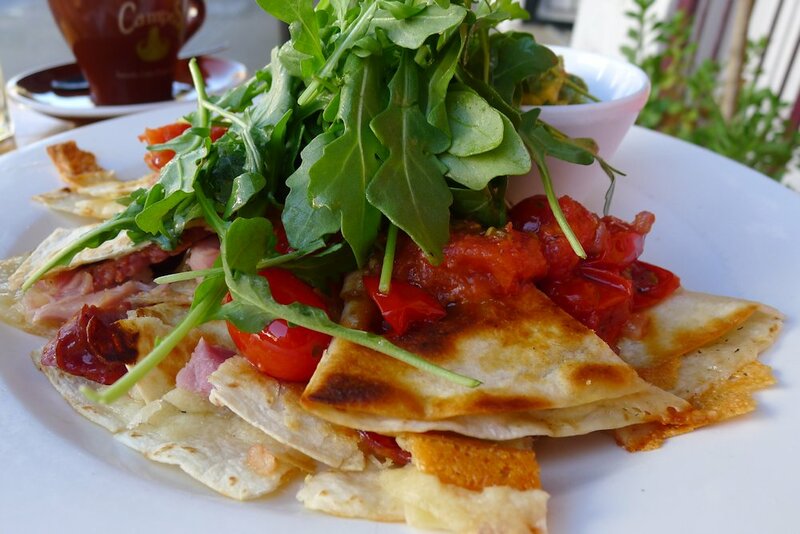 The quesadilla ($12) exists on the breakfast specials menu alongside the toasted ham, cheese and tomato croissant ($9), one pan breakfast (bacon, chorizo, semi dried tomato and eggs, $13) and smoked salmon breakfast (avocado, sour cream, poached egg and rocket on sourdough miche, $16). They all sound good – there seemed to be something on the menu for all palates. The verdict on the quesadilla was split between myself and my guest. Other versions I have tried have always been delightfully crisp with plenty of cheese and a spicy kick inside. I found this tortilla to be much softer (probably due to the dressing and tomato on top or it was left too long before serving). Spices were absent, more relying on the chorizo, ham and manchego cheese to provide the flavours. Which they did and as I said my guest truly enjoyed the meal. She was fond of the dressing on top as well as the roasted cherry tomato salsa. The guacamole was filled with some great flavours and a nice touch but for me there were was too much on the plate and it needs to be simplified with the salad served on the side. 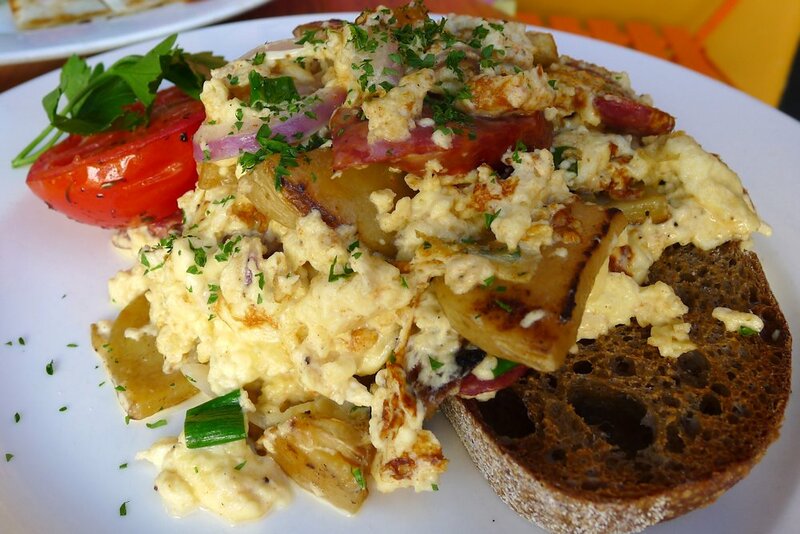 On the other hand I did really enjoy my chorizo eggs ($15.50) which was an incredibly filling serving of creamy scrambled eggs with potato, red onion, chorizo and herbs on Sonoma toast. The potato and eggs were herbed and spiced to perfection and there was also a decent amount of chorizo. The toast was soft and delicious but cut slightly too thick. Other dishes on the breakfast menu that sound worth a try include free range eggs ($9) with a large amount of sides available, spinach feta eggs ($14.50), pesto feta eggs ($14.50), apple and ricotta pancakes ($13) and French toast ($13.50). The last two are available with any of fresh banana ($2), sweetened yoghurt ($3), bacon ($3), triple berry compote ($4) or rhubarb and pears ($4). 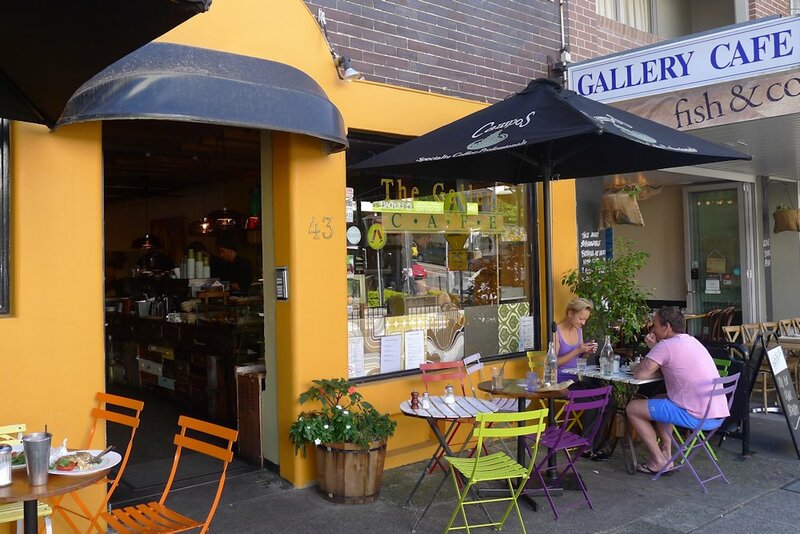 Despite the service, we enjoyed our visit to Gallery Café; the food was tasty. There are some areas that deserve improvement and if we aren’t in a rush, we will return to try some of the other dishes. 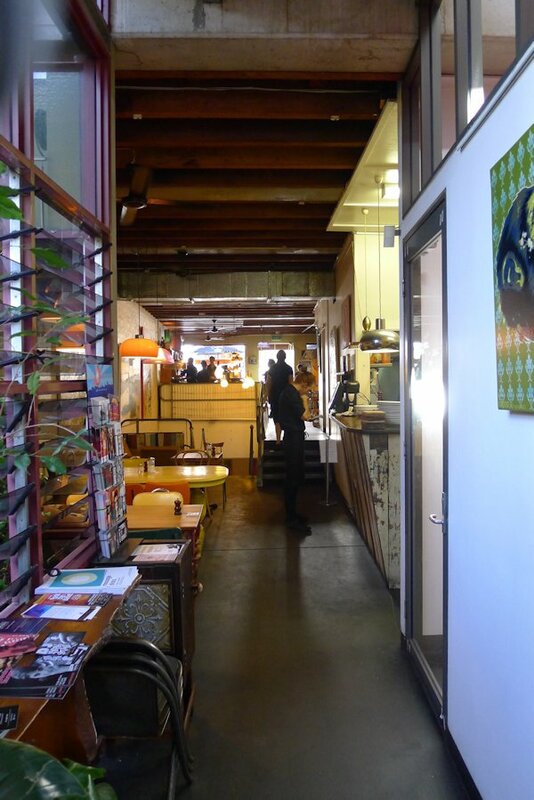 This entry was posted in Sydney - Inner West and tagged Dog friendly, Free range eggs, Fresh fruit and vegetable stores close by, Gallery close by, Outdoor seating. Bookmark the permalink.